Organising contacts and business cards can be a job in itself but it’s essential for business networking so how can you find an effective and time-saving solution? Business cards are a vital connection between yourself and a whole lot of potential but their small size and flimsy material make it difficult to keep them in a safe and accessible place. 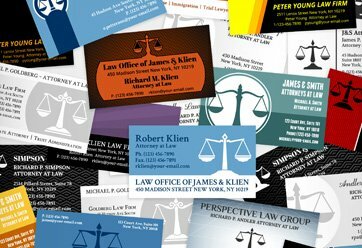 Also, if you have a lot of business contacts, your pile of business cards could be stacking up making it almost impossible to find one particular contact when you need it. Manually handling business cards is time and space consuming which is where business card scanning and digital management brings the effective solution you’ve been looking for. You can access the information you need quickly and easily. You can save the space previously taken by stacks of cards. You can increase your efficiency and improve workflow. You can use the list to email numerous contacts at once. You can take steps to making your office paperless. – Your accumulated business cards can be collected from anywhere in the UK using our secure nationwide collection service. – Once at our scanning bureau, your business cards will be prepared for scanning. – Depending on the type and condition, your business cards will either be automatically data captured or the information will be manually entered into a database. – Our automatic data capture software scans your business cards in high resolution, colour format to ensure accurate data capture. -The data will then be checked before being converted to Excel, CSV, Outlook, CRM. -The spreadsheets etc can then be delivered to you via secure FTP, online cloud platform, CD, DVD or USB. -Once you are happy with the digital information, your original business cards can be safely disposed of. Pearl Scan’s business card scanning service has provided companies and individuals with a cost effective and excellently organised system for managing important contacts and their information. We handle the entire process from collection and data capture to conversion and delivery saving you time and money and, of course, a lot of stress. That wasn’t five minutes! Well I guess that means you’ll have to spend the remaining time getting in touch for a free, no obligation quote for your business card scanning project, won’t you?